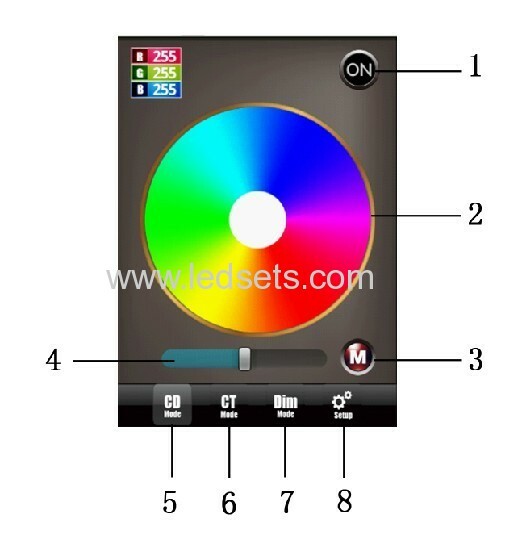 colors-changing/mixing , single color-dimming and white-warm white color-temperature changing. 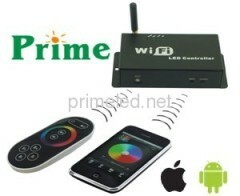 The controller set includes Remoter, Driving software and a Controller. Another Method to control LED with RF signal. Includes IOS and Android driving software. > Runtime platform: Android version support Android system,IOS version support IOS system,equipment must have WiFi function. > Byte: Android version (622K),IOS version(581K). 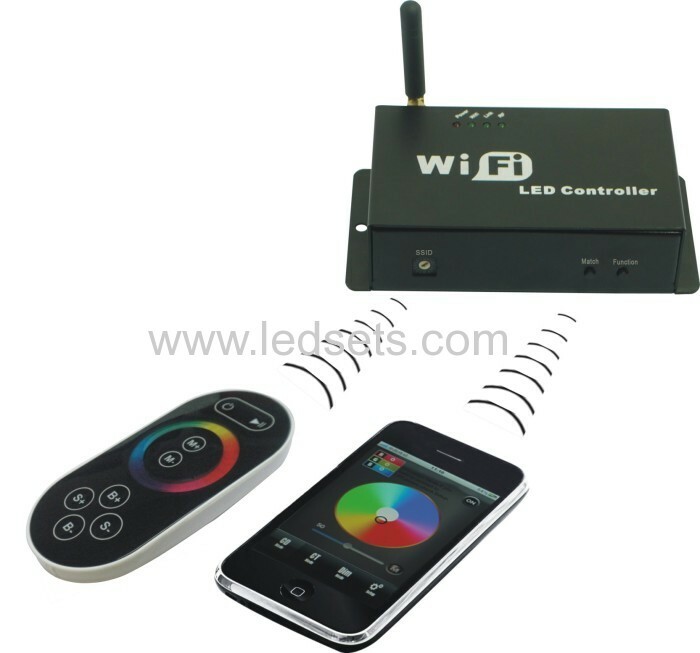 > Output control:can flexible control 3 channel,2 channel,1channel LED lamps. ①mode add key, so when the current control mode is pulley mode(color), if it need to realize the mode(color) in controller, can press this button. 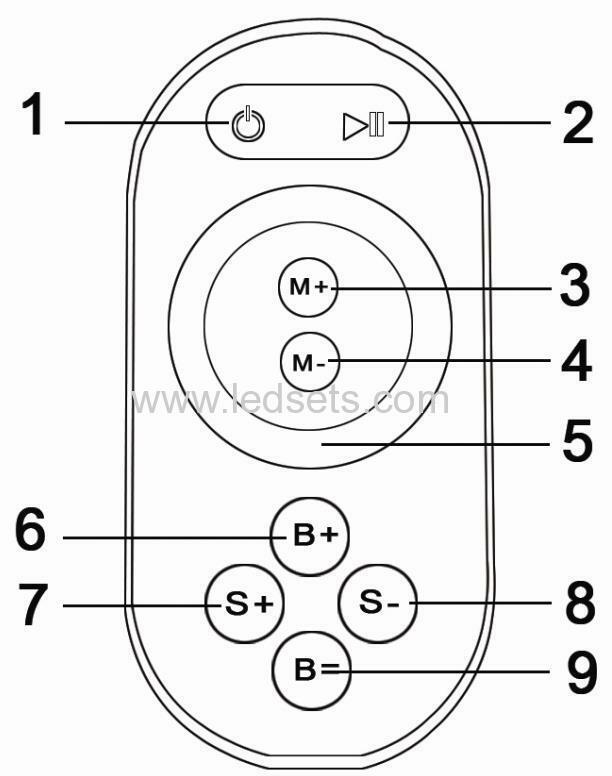 9,Color pulley touch button, static mode choose key, up to 55 touch point.